Six Stories of GORE-TEX® Products Vol. 2 Norse Projects – BEINGHUNTED. Together with Norse Projects, W.L. Gore & Associates, Inc. showcased an installation that highlighted the book and incorporated two jackets as well as the brand’s collaboration with adidas. All three products are perfect examples for a modern approach to technical outerwear for the urban environment. In an engaging set-up visitors had the chance to experience an abstract, physical depiction of a climatic context that relates to the GORE-TEX® fabric technology and its uses. The event coincided with the unveiling of “Layers” – a footwear pack designed in collaboration between Norse Projects and adidas Consortium. 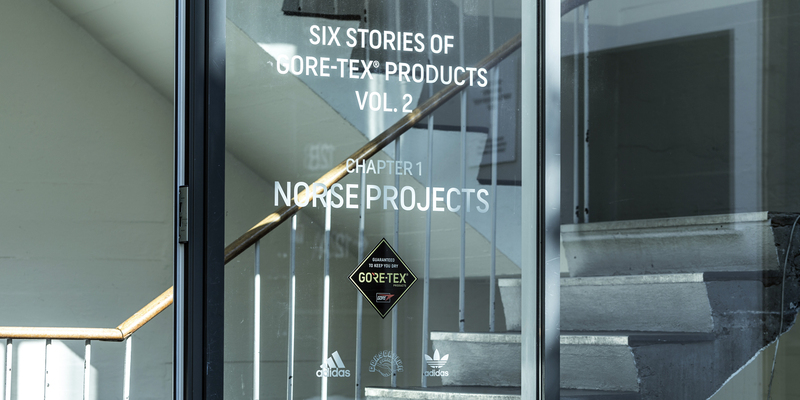 The first event in a series of showcases centered around the publication “Six Stories of GORE-TEX® Products Vol. 2” drew a diverse crowd of media representatives, industry insiders as well as friends of Norse Projects.